Graham joined the Seahawks this offseason after five years in New Orleans. On paper, it seemed like it would boost them to another level. No one would be able to touch the Seahawks after adding Jimmy Graham. Fast forward a few months and Seattle finds themselves on the losing end of a game with the Rams in which the defending NFC champions they allowed Russell Wilson to be sacked six times. On a critical fourth and one, the offensive line got absolutely no push and Marshawn Lynch was stopped in the backfield. In the process of trying to elevate their offense to another level, the Seahawks created a whole new issue. Unger was elected to the Pro Bowl twice in his five years with the Seahawks. Landing Graham was a big addition but it completely gutted the offensive line. 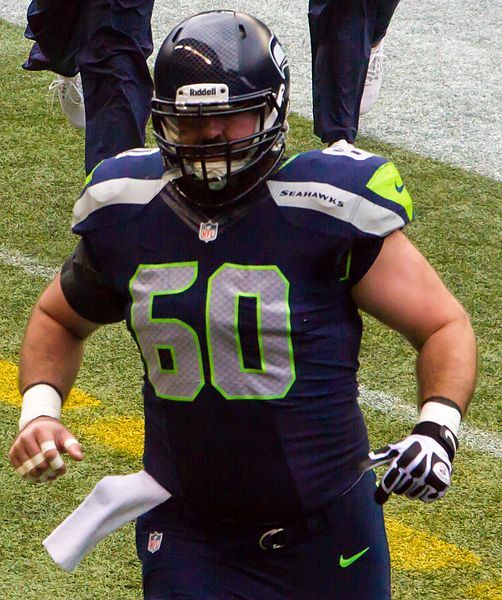 As part of the deal, Seattle had to send All-Pro center Max Unger and a first round pick to the Saints. Remember also that left guard James Carpenter left this offseason in free agency and right tackle Breno Giacomini hit the road a year earlier. Suddenly, Seattle only has two of its offensive linemen that won the Super Bowl in 2014. These problems should not come as a surprise to the Seattle front office either. The Seahawks have been great at finding the next man up to fill the void but that can only work so often. They rolled out a very inexperienced line. Center Drew Nowak made his first career start. Right tackle Gary Gillman made his second. Justin Britt entered only his second season as the starter. Everyone has to get their first start at some point but usually you don’t throw that many inexperienced players out to play at once and expect a good result. Now, they look like a team without an identity on offense, stuck between wanting to join the vertical passing trend and sticking to their hard-nose grind it out approach they’ve had for the last five years. It has created a difficult situation for Seattle’s offense. Between all four preseason games and the season opener, the Seahawks’ offensive line has allowed 20 sacks. That’s an average of four sacks a game and that doesn’t even take into account how many other times Wilson gets hit. Sure, the preseason does not count but more often than not, those tendencies you see in the preseason can continue to persist come the regular season. Graham, over the course of the season, should prove to do well over the course of the season but not enough to justify dismantling the offensive line. I also don’t think Graham will ever be as effective as he was in a Saints uniform. In addition to trading away Unger, Seattle could have spent that pick to improve their line even further with players like Nick Morse, Donovan Smith and Jake Fischer still on the board at number 31. Even if they weren’t starters, they could end up with some good line depth. Especially with Gillman listed as questionable heading into the season. The only depth they have is the inconsistent Alvin Bailey. Had they gone that route, we would be looking at the Seahawks offensive line as a strength rather than a weakness. Wilson signed a four-year $87.6 million contract this offseason. Over time, this offensive line can develop some chemistry and gain confidence. This was not the start they needed or one that should have happened. Seattle did not have a proper contingency plan in place to deal with these major losses. Instead, they brought in Graham, who does not fit the system at all. On top of that, the Seahawks just invested a ton of money in Wilson, but what good is that if he consistently finds himself on his back. Wilson is definitely mobile enough to avoid the pressure but he cannot be counted to do that on every play. The Seahawks panicked after the Super Bowl and tried to make a major change. If you ask me, Seattle just greatly shortened their championship window. Marshawn Lynch probably won’t play more than another two years in the league and now Seattle is trying to recreate their offensive line rather than making that push to win another title. The saying goes though, if it ain’t broke, then don’t fix it. Clearly that wasn’t something John Schneider heard enough in Seattle.